Responsive Web Desgin (RWD) means designing a flexible site where the layout and look of it automatically adjusts to the size and resolution of the screen, on which pages are displayed. This is a very important element in creating websites because this technique makes the site mobile and functioning properly. It becomes useful and clear (without having to scroll sideways) on all kinds of devices, from those with Full HD screens, though computers, tablets and Smartphones to simple mobile phones. The page you are currently viewing has been made using the RWD techniques. If you view it on your computer, minimize the browser window and just narrow it up from the side edge of the window. Surely you'll notice the difference compared to traditional web pages. The page does not shuts off, it remains clearly readable and aesthetically pleasing. We offer copyright web applications that are individually tailored to the customer needs. We match the functionality of the software to the individual character of the business, adapt software functionality to the individual nature of the business, applying the frameworks of PHP, Zend Framework, or Laravel. 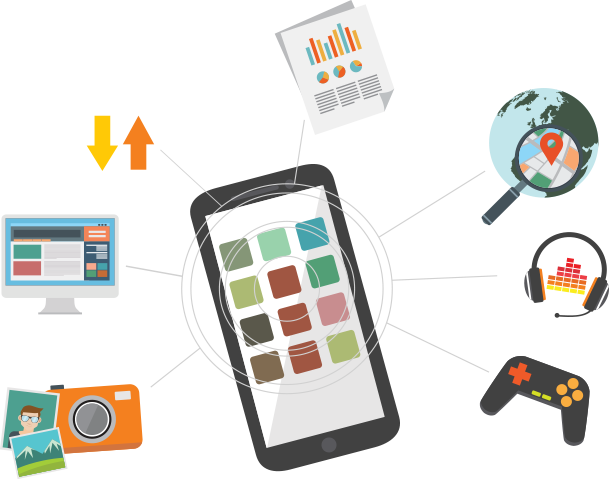 A dedicated application will improve the functioning of your business! In a nutshell, web applications are programs held on servers, which we can find on the Internet. They serve the user to carry out specific tasks and goals such as content creation, fast communication or photo editing. The main advantageous feature of the application is its design allowing simultaneous use by multiple users. How applications are different from websites? The difference lies mainly in their technology. Contrary to its appearance, the web application is a service more complex than a website. The website is limited to HTML and CSS, while application design uses other technologies such as PHP. In essence, the application requires many complex functions to perform its tasks, while the website plays mainly informational role. The real estate search with custom search form, presentation of bids, possibility to export offers to PDF, automatic daily import of offers. A contest application with the ability to submit papers and their evaluation, statistics, and the possibility of exports. An application that allows ordering courier packages and pallets integrating pricing system with GLS and UP courier. Original component that allows creation of any of the forms on the site and generates completed pdf versions, for example: an application for a card, beneficiary change forms, insurance trip reports, and many others. Instant Messaging system between a company and a customer with the possibility of on the spot, immediate multi-lingual message translation. Remember that having a web application improves the productivity of the company, affects the flexibility and mobility, speeds up the work greatly contributing to saving time and money! A company without its own website practically does not exist, therefore professionally designed, aesthetically pleasing and efficient website is an absolute key to the company’s success. The Internet is the most popular and most accessible source of information, thus promoting the company through the website is almost an obligation. However, to make the webpage most effective it has to rank highly in search engines. It's a real race against the competition! Original and effective graphic design. Attention to detail and user friendly design (Usibility). Mobility of the site (RWD). 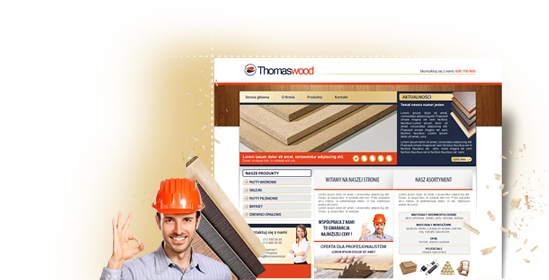 Website edits using the content management system (CMS). 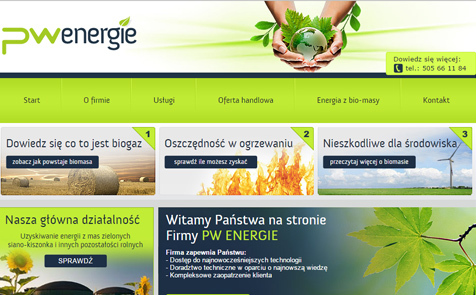 PW ENERGIE is a company engaged in implementing the newest technology solutions for the acquisition and utilization of biogas. The company has a vast experience in preparing biogas investments. The company offers consulting services and provides estimates in agricultural biogas plant investments. It also offers guidance with the submission of appropriate proposals and applications for funding. AG-CEL Laboratory was established in 2005 and is continuously growing. The company is expanding its research scope while introducing new products and adapting to the new requirements of the tests PN-EN for construction of building and road materials. 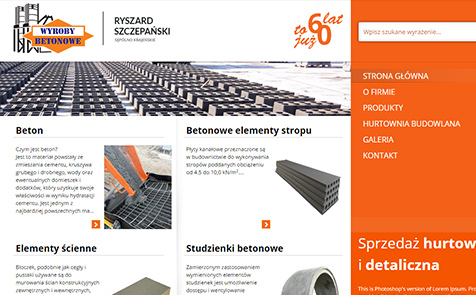 The Company Wyroby Betonowe Ryszard SZCZEPAŃSKI has been on the market since 1953. It is a family business founded by the eldest in the family Marianna Szczepańska, which also initially performed roofing, pipes and cinder blocks and concrete work. 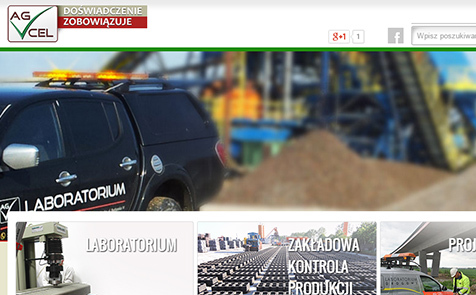 In 1972 after reorganization, the son of the owner - Richard Szczepański became the new owner and since 1987 the company remains at its present site. Akademia Maluszka is a private kindergarten located in Pawlowo near Chojnice. Preschoolers are children between 2.5 to 5 years old. The kindergarten operates under a new law on education system and in accordance with the Ministry of National Education ordinance on private institution governance and activities. IQ - Education Center - was founded in 2008 by Robert Augustyn and it is now a recognizable brand on the market specializing in the field of trainings. IQ is also very successful in helping students improve their academic performance as well as achieving superb exam results. ECO Synergia offers a wide range of products and a full range of services in the field of renewable energy sources. ECO Synergy products include: heat recovery units, solar panels, heat pumps, photovoltaic cells and units, and many others. 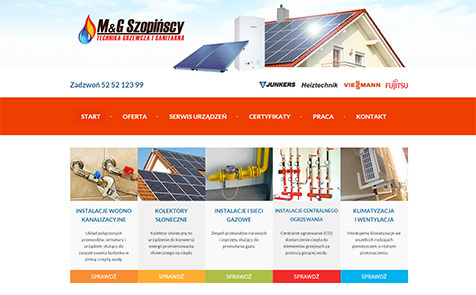 M&G SZOPIŃSCY Company is a family business founded in 2006 operating throughout entire region of Poland. 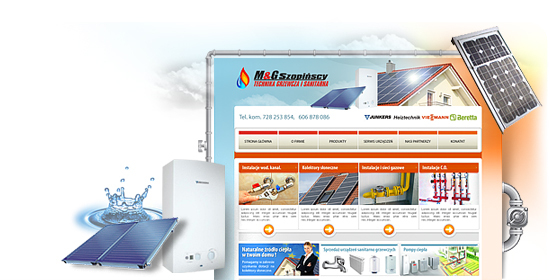 They specialize in: gas, CO (central heating), ventilation, air conditioning and modern solar panel installations. 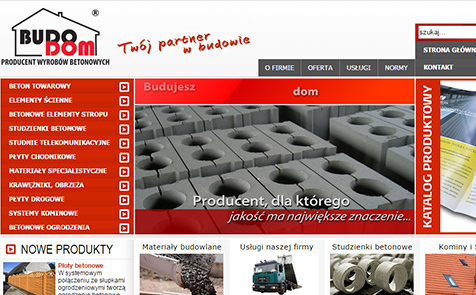 The BUDODOM Company has extensive experience and has been producing building materials for generations. It was founded in 1986 and since then it continuously introduces new products like concrete fences and rings. The Company’s expanding offer includes more than 30 products from different categories such as wall, road and water elements. WordPress is a modern, semantic personal publishing platform, focused on aesthetics, compliance with Web standards and usability. WordPress is both - free (from the word "freedom"), as well as free of charge. 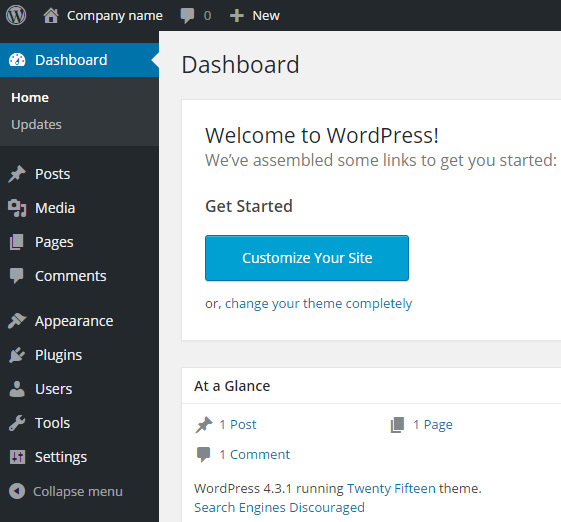 Simply speaking, WordPress is what you use when you want to work with the blog software instead of fighting it. Joomla! 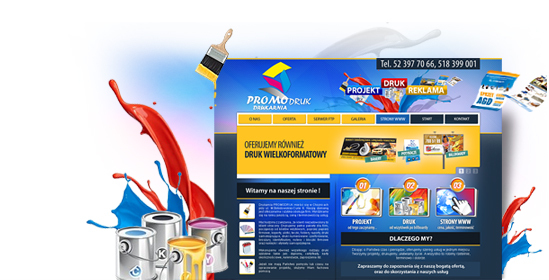 is a program that easily creates and maintains dynamic websites. Content management system (CMS) is one of the most popular ways to manage all content of the site and all from a Web browser. This innovative tool of the website should be currently updated to satisfy regular customers and to attract new ones.  We offer not only secure, proven with most features of CMS including WordPress system, but also innovative solutions specifically tailored to our customer needs. Thanks to plug-ins that WordPress provides, you can easily connect your website with your accounts on social networking sites such as Facebook, Twitter, Google, Linkedin, Betway.com online sportsbook and more. These plug-ins allow you to place comments on your corporate site from Facebook, social bookmarks and additional content sharing. Fast, simple and fun! CMS allows for quick, easy and above all an independent content edit on the site, without having any experience with web design. You can easily add, change, and delete text, photos, videos, and all subpages. There is no need to hire professional web designers or wasting time signing contracts and waiting for order finalization. Thanks to WordPress and its many intuitive features (similar to those of the Word), you can do it all yourself, right away, without charges and with pleasure. 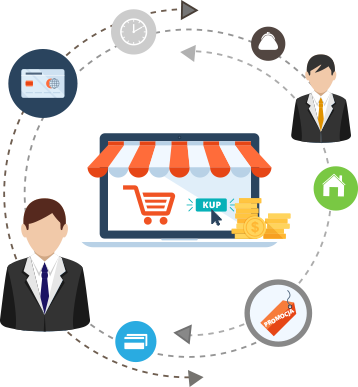 E-commerce solutions are a necessary part of every business, and now the most popular form of it are internet stores. Their popularity continues to grow brining the e-shop owners big gains. This is because access to the Internet is now more widespread than never before. Payment transactions are more secure and quicker while maintaining formalities to a minimum. 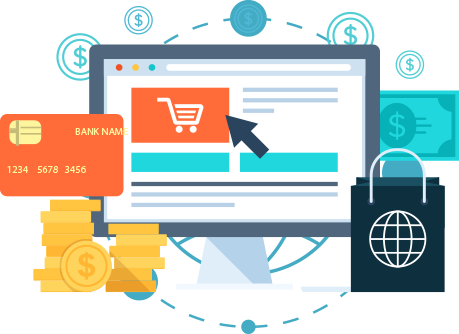 On-line shopping is more attractive due to a high service quality, speed and the ease with which the client can reach the desired products 24 hours a day. Very significant is also customer comfort provided by direct home delivery available in various forms and desired timeframe. Original, unique graphic design (discussed with the client, but also compatible with current trends-User-Centered Design). 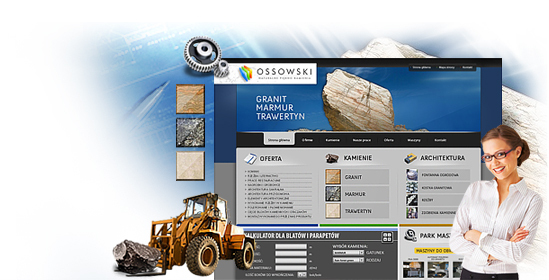 E-shop software with CMS (convenient management of assortment and orders). On-line store optimized positioning in Google-SEO (both in terms of HTML, as well as the content and keywords). The integration of on-line payments, social networking portals, newsletter, etc. The functionality and usability of the site to ensure its friendly reception by the client (User Experience and Usability). Mobility e-store (RWD) for viewing pages in all browsers. 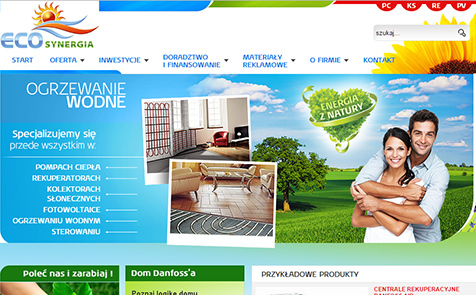 Designed by us our online stores allow you to use the on-line payment systems such as PayU, DotPay, PayPal, Przelewy24. We also integrate the e-shop with the courier services. This translates into a swift exchange of data between a sender, recipient and courier. This synchronization is an important tool for meeting customer expectations for fast order delivery and finalizing the transaction. Additionally, the customer has the ability to monitor orders and shipments, and the site owner has a guarantee of efficient communication between the shipment application and the mail store. Efficient and high-quality customer service is a huge advantage over the competition! With creating webpages and e-shops, we offer fast and stable server with no ads, unlimited disk space, data transfer and easy control panel. Our free hosting plan works well for all types of parties, and the risk of exceeding the limits is virtually impossible, what our satisfied customers regularly confirm. In addition to hosting - we provide a free domain. Domain name is the address of your business, which is why it is so important for the name to instantly reflect your business profile. By using the website address, which is also the domain, a potential client easily finds your business on the Internet. 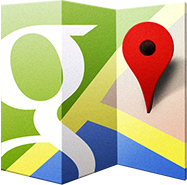 Adding your business to Google maps directory should be one of the first steps to promote your company. High popularity of Google maps will also benefit your business. Your business would be easily found in Google Maps showing its exact location, and it would be much more visible in the Google search engine. It will also be an attractive business card in the form of photos with descriptions, address, map, and directions. 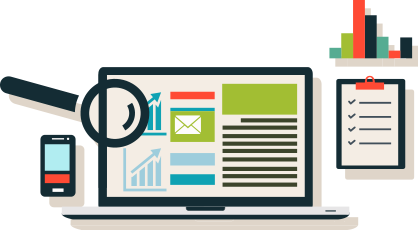 Putting your business in the catalogues of companies will increase popularity and traffic to your website. the most frequently visited sites and pages. These are just few of the many opportunities offered by Google Analytics. Do you already have any project information you want to share? As soon as we receive your information we contact you to discuss the details about the project.